Ready to play shoulders ride? Let's go. 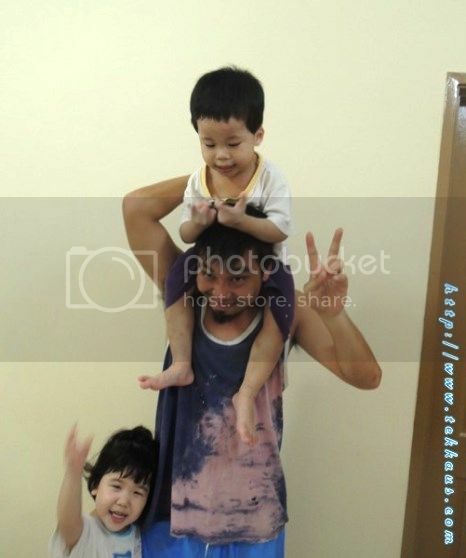 When it comes to playing shoulders ride, daddy me is the one who will be playing with them. 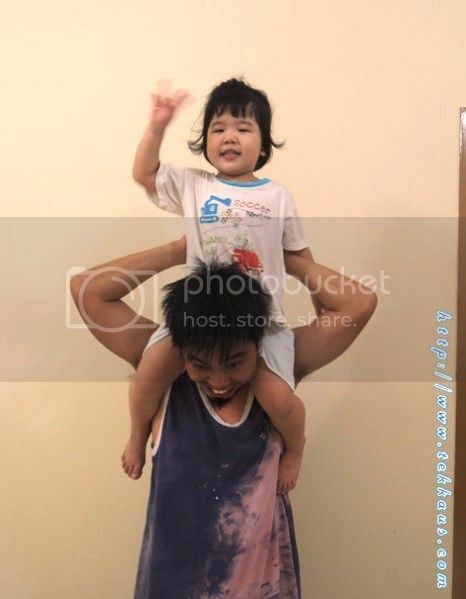 After all...to carry both of them on my shoulders and running around is not an easy stuff to do anymore compared to when they were younger and lighter. 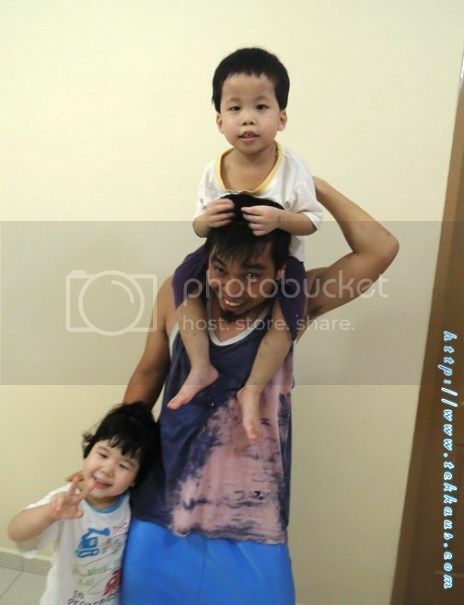 :p However it is still relatively OK for my Jordan and Jasmine to ride on my shoulders. I don't mind playing with them every day because both of them are growing up really fast...I don't want to miss any moment with them.